You’re probably never going to get the chance to hang out on the International Space Station. But the climate-sensing bling that NASA is about to fasten to the space station will improve the weather information you get from newspapers, TV meteorologists, and scientific papers as you hang out in the Earthly bounds of your living room. NASA already has 17 satellite-based missions in space providing Earth and climate scientists with data and images. Later this month, it’s going to try something new. It will dispatch a scatterometer to be attached to the International Space Station, from where the instrument will help track and forecast the movement of storms. 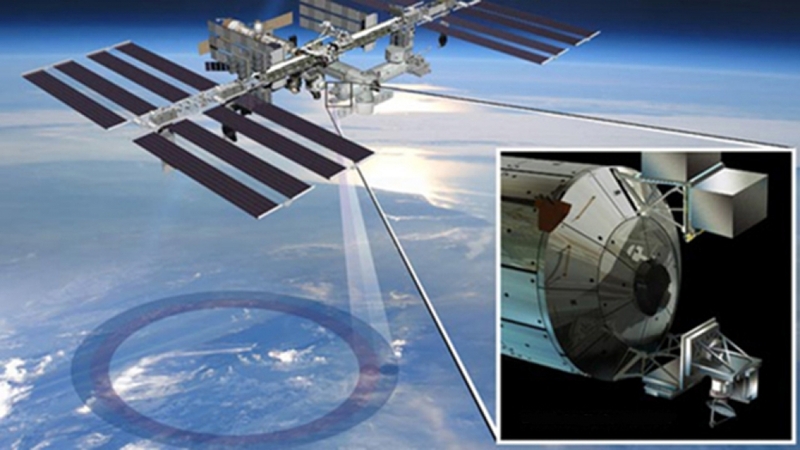 NASA might launch ISS-RapidScat this month. The agency and some of its partners on Monday outlined plans to launch six new climate-monitoring instruments before the end of this decade. The devices will be carried in spacecraft that will be embraced using the space station’s robotic arms — and then attached to the station’s exterior. More might be added in the coming decades. This NASA graphic shows where the instruments will be installed, and when they might be launched. There’s a lot more to the instruments than baffling acronyms — keep reading for the details. That means? International Space Station Rapid Scatterometer. Come again? It will bounce microwaves off the ocean’s surfaces and measure the echoes. Why? To measure wind speeds over the oceans, helping to track and forecast storms. Those measurements will also aid in studies of climate change. ISS-RapidScat was designed to replace the SeaWinds instrument aboard the QuikScat satellite, which were launched in 1999 but basically broke down in 2009 when the scatterometer’s antenna stopped spinning, leaving a yawning hole in global wind measurements. Launch date? Along with the fourth SpaceX resupply flight out of Florida’s Cape Canaveral Air Force Station, it could launch in the coming weeks. That means? Cloud-Aerosol Transport System. Come again? It will use lidar, which is similar to radar, to measure clouds, dust, smoke, and other tiny particles in the atmosphere. Why? Scientists want to better understand how clouds and aerosols affect the climate. By mounting this device on the International Space Station, NASA will be able to obtain measurements that aren’t possible from other satellites given their different orbits. Launch date? Whenever the fifth SpaceX space station resupply flight takes place, possibly in December. That means? The Stratospheric Aerosol and Gas Experiment III. Come again? It will measure ozone and other gases in the upper atmosphere. Why? The measurements will help scientists monitor the recovery of the ozone layer following its bombardment with chlorofluorocarbons, or CFCs, which were those chemicals used in coolants and spray cans that were basically banned by the 1980s Montreal Protocol. Launch date? Sometime in 2016. That means? Lightning Imaging Sensor. Come again? It will detect lightning. Why? To validate other ground- and space-based systems that also detect lightning, and to fill data holes, such as those that exist over oceans. The data will help improve weather forecasts and warnings. 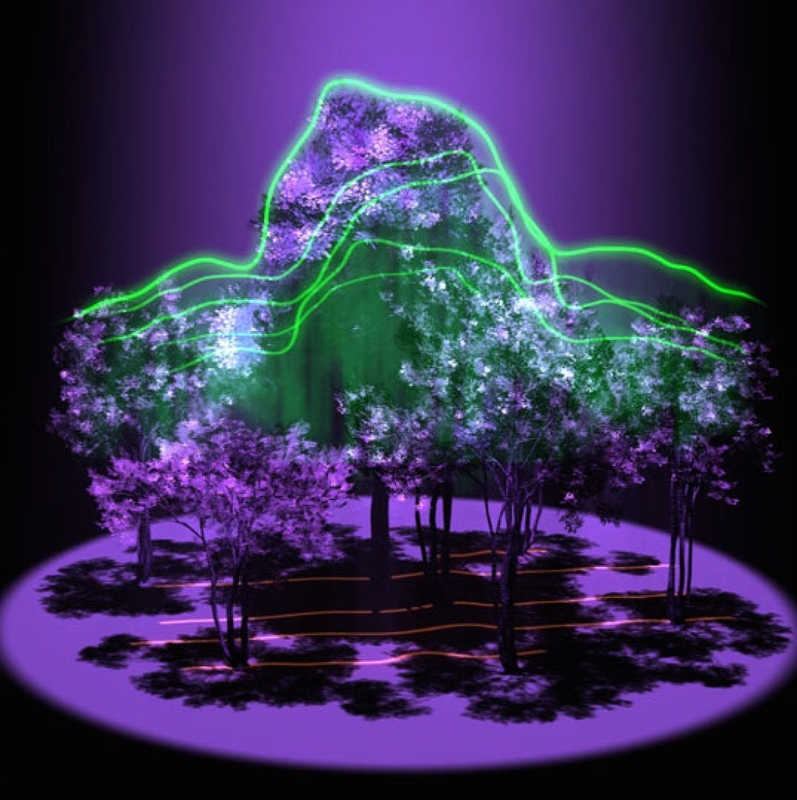 A purple-hued graphical representation of how the Global Ecosystem Dynamics Investigation lidar would work. That means? The Global Ecosystem Dynamics Investigation lidar. Come again? It will produce 3-dimensional models of Earth’s forests. Why? Detailed canopy information will help scientists grasp how humans and natural climate variations are affecting the amount of carbon being stored in forests. That means? The ECOsystem Spaceborne Thermal Radiometer Experiment on Space Station. Come again? This thermal imaging system will measure the loss of water from leaves and evaporation from soils. Why? That will help scientists understand how plants use water, predict how vegetation will respond to water shortfalls, and observe how ecosystems change with the climate.